Before playing their final show on May 5th, 1968, Buffalo Springfield released three studio albums on ATCO during an intense, two-year creative burst. 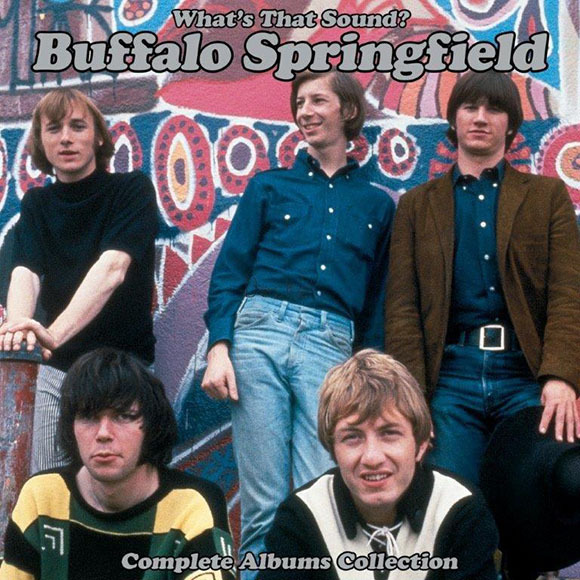 Those albums – Buffalo Springfield, Buffalo Springfield Again, and Last Time Around have all been newly remastered from the original analog tapes under the auspices of Neil Young for the new boxed set: WHAT’S THAT SOUND? THE COMPLETE ALBUMS COLLECTION. The set includes stereo mixes of all three albums, plus mono mixes for Buffalo Springfield and Buffalo Springfield Again, and all will be available on June 29th from Rhino Records as a five-CD set. High resolution streaming and downloads will be available through www.neilyoungarchives.com. On the same date, the albums will also be released for the first time ever on 180-gram vinyl as part of a limited-edition set of 5,000 copies . The 5-LP box features the same mono and stereo mixes as the CD set, presented in sleeves and gatefolds that faithfully re-create the original releases. The group spent the first half of 1967 making Buffalo Springfield Again, which was the first album to feature songs written by Furay (“A Child’s Claim To Fame.”) Stills and Young both contributed some all-time classics with “Bluebird” and “Rock And Roll Woman” from Stills, and “Mr. Soul” and “Expecting To Fly” from Young.